We’re all encouraged to eat a rainbow of fruits and vegetables each day and this rainbow-themed taste test activity invites children to try out a new food and record their findings. :: you could also find out where each food comes from and locate the countries on a map. How did they get to your store? 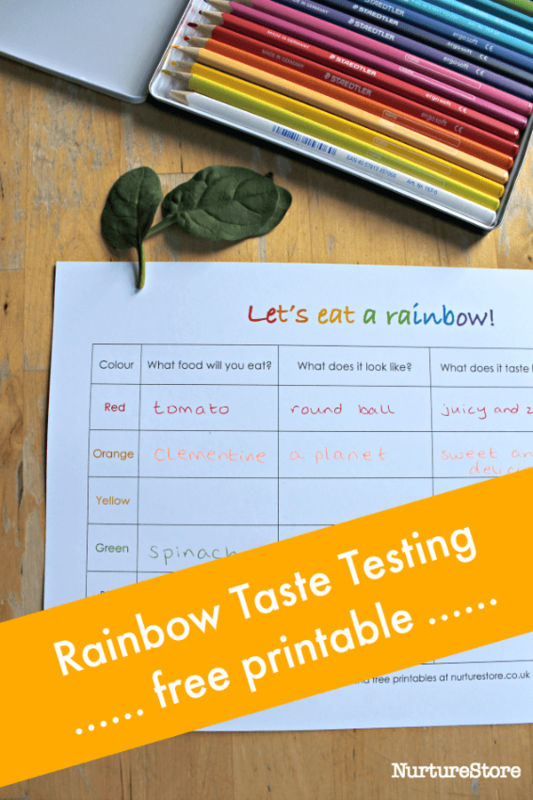 Please advise how I download the free printable rainbow taste test? Many thanks for all you do to inspire us. Hi Tracey. Just follow the instructions in the “How to print the rainbow taste test sheet” section.